Finished Serenity Socks - Yay! The purple and fawn colors were on the bobbin spun during the workshop this week. It was held at the Gutierrez Hubble House, a national historic house in the South Valley of Albuquerque. Spanish Colonial Textiles were taught in the house and under the portal (porch). all crafts that were part of life in the Gutierrez Hubble House on El Camino Real. 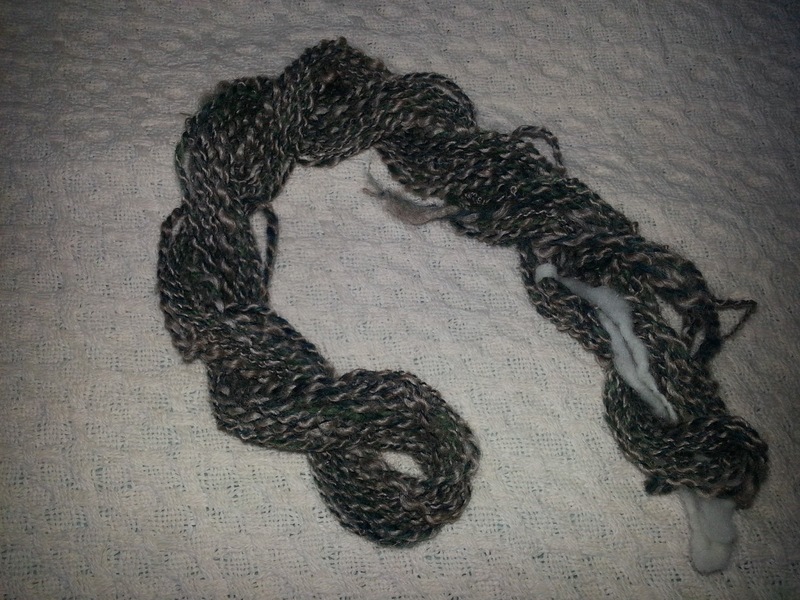 Plied yarn from Wednesday , July 20, 2016. 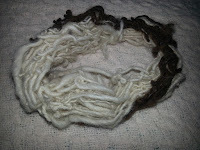 Romney undyed plied with dyed forest green variegated Romney. 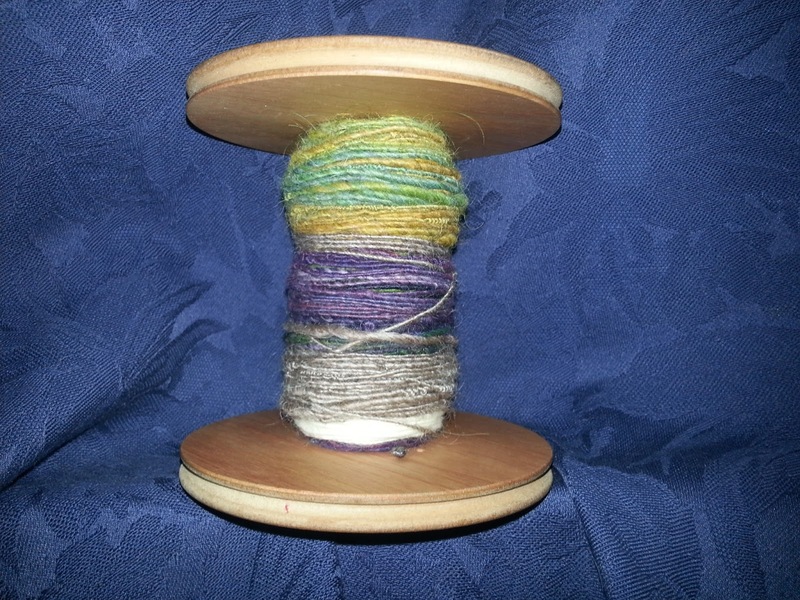 I liked spinning that. I got a nice balanced single and 2 ply. That's a real accomplishment for me!